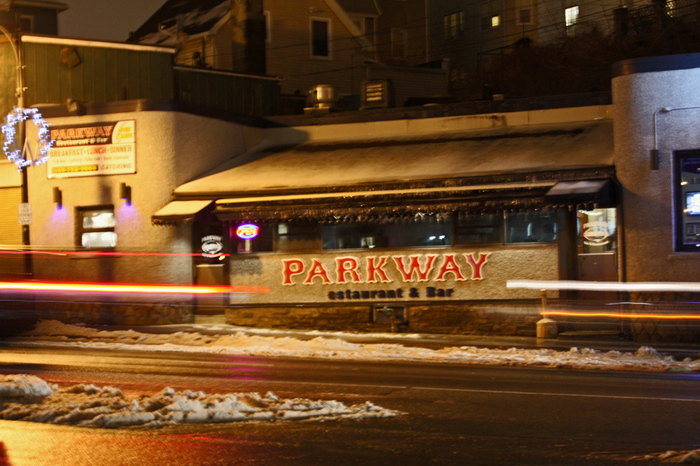 The Parkway Diner in Worcester, Massachusetts is on Shrewsbury Street – and it’s right across the street from the Boulevard Diner, which is also a Worcester Lunch Car diner! Two only a few feet from each other! 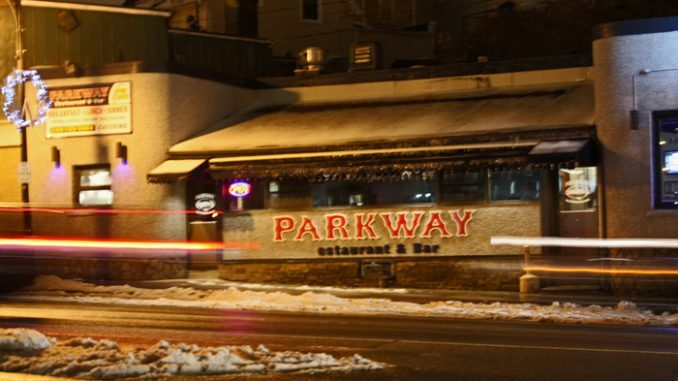 The Parkway has been connected to a larger restaurant / sports bar and the front has been redecorated. 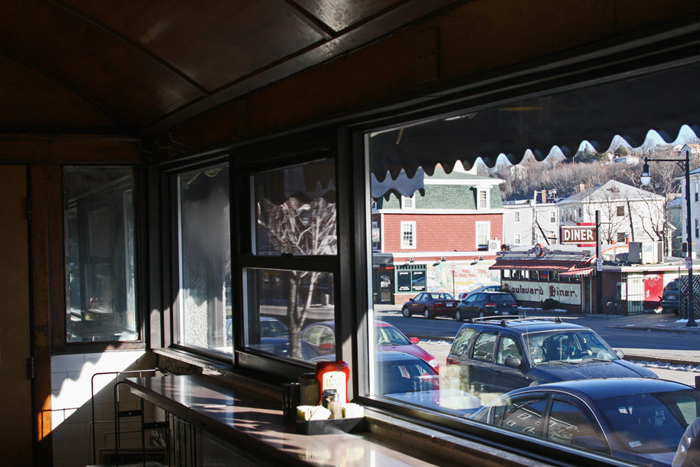 So from the outside you might not guess it was a classic Worcester Lunch Car Diner. Inside, though, it becomes clear. The above image was taken at night during a street photography shoot, but the rest were done during the daytime. You can see, across the street, where the Boulevard is! Here’s a look at the gorgeous interior. 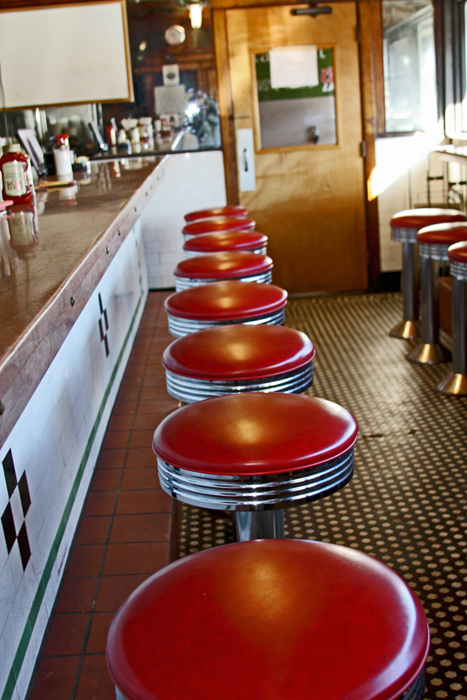 Shiny red stools. 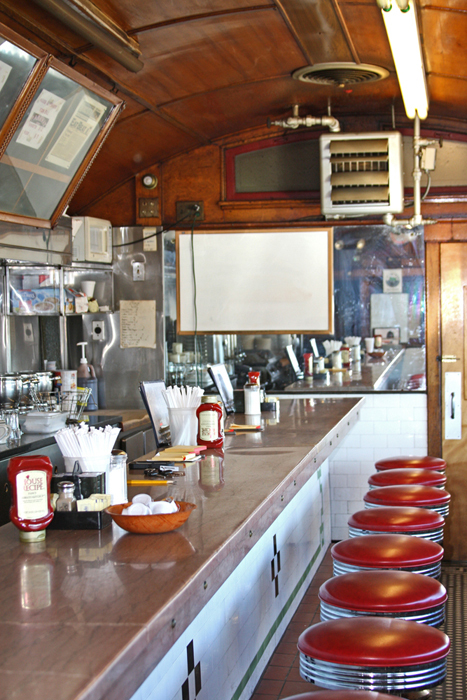 A matching set of red stools on the window side – there are no booths here. The curved roof. They only have this section open for breakfast hours. 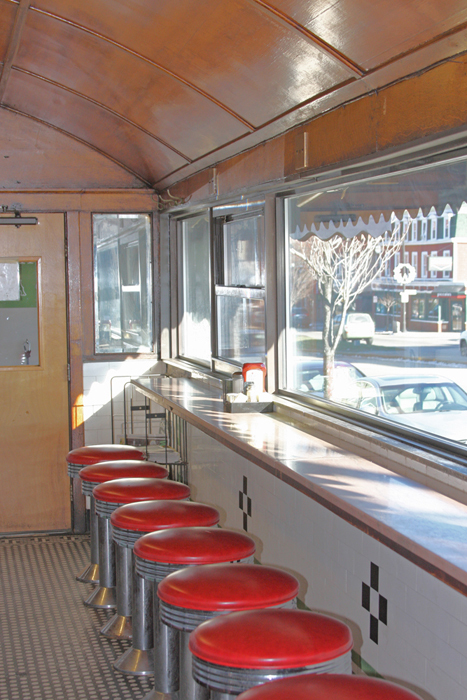 The Parkway is Worcester Lunch Car Diner #670 and opened in 1936.